Thank you for your interest in our community, and in following this important issue. There are many ways you can support the FTR. Your contribution will help us spread the message (and dispel the myths) about the FTR. Voters for the FTR will be a Ballot Question Advocate registered with the Rhode Island Board of Elections. Unlike in regular candidate elections, there is no limit on how much you may donate for a ballot question referendum like the one for the FTR on November 8th, and donations of $1,800 or less will remain anonymous. 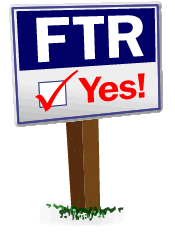 Also different from regular elections, businesses have a direct voice and they are allowed to contribute to Voters for the FTR. If you have any questions, please feel free to contact us at info@tivertonftr.org. We are also happy to arrange a meeting with organizations. There are many ways to help support the FTR other than with money. For example, maybe you would like flyers to hand out and share with your neighbors, or you would like a sign for your yard. There are a lot of ways you can help. Just contact us at our mailing address, or email us at support@tivertonftr.org. The most important thing to do is to save the date and vote at the special referendum on Tuesday, November 8th! Unlike at FTMs, each vote will be counted, and counted accurately, and each vote will make a difference. Voters for the FTR are Tiverton citizens who believe that the antiquated FTM does not work for our town of 16,000 people in the 21st Century. We advocate for replacing the FTM, which has led to irrational budgets, uncontrolled property taxes, and a bitterly divided community, with the FTR, an all-day referendum process which will be more inclusive and allow far more people to participate in setting our budgets and property taxes in an informed manner.